This week Hunter TAFE is highlighting the talents, skills, career pathways and the value of apprentices and trainees across Australia. Find out what’s happening at Hunter TAFE during National Skills Week here. National Skills Week is an initiative of SkillsOne, go to their website to view hundreds of videos about getting a trade or skill. Have you found your future yet? Take this quick quiz from the Hunter TAFE careers counselling service to find out about career options that may be suited to you and courses you might enjoy. 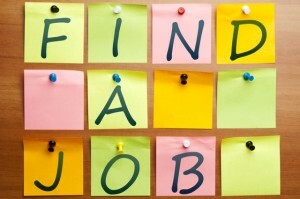 This LibGuide is packed with links and library resources to help you find work and to assist with job seeking skills. This entry was posted in Events, Hints & Tips, LibGuides, Online Resources, Uncategorized and tagged Hunter TAFE, National Skills Week. Bookmark the permalink.